Paul Brennan is the Virtual Design & Construction (VDC) Department Manager at BAM Ireland and a Board Director with the Construction IT Alliance (CitA). 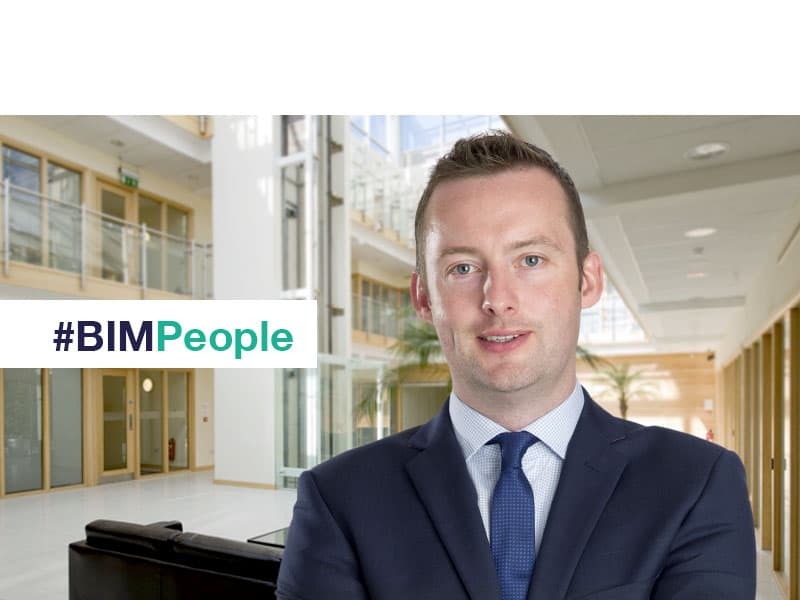 BIMIreland.ie spoke to him about his work, BIM at BAM Ireland, and his involvement with CitA. He also gave us his advice for contractors and clients. 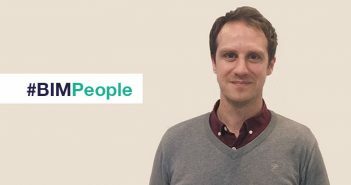 Before taking up his current role Paul was a Project Manager and Senior Project Engineer at BAM. Paul graduated with a Bachelor of Science Honours Degree in Construction Management and Engineering from Waterford Institute of Technology in 2006 and is a Member of Engineers Ireland. Paul, please tell us about your work as the Virtual Design & Construction Department Manager with BAM? I am the VDC Department Manager within BAM Ireland. I manage all of BAM’s BIM Managers, BIM Coordinators, and BIM Technicians within the business. It is interesting to note that our senior department members are now referred to as Design & Information Managers. This is in recognition to the senior posts they hold within project delivery teams. I am charged with managing the design and implementation of BAM’s digital strategy. The VDC Department supports digital projects for BAM within Ireland and the Middle East. BAM Ireland has a team of BIM specialists based in Dubai at present who are working on projects such as The Museum of the Future. We are supporting the digital delivery of this project from Ireland, in the same way as if it was in Cork, Galway or Letterkenny. I am also a member of the Royal BAM Digital Council based in the Netherlands. Being part of this high-performance unit has allowed me access to best practice globally in BIM and digital strategy and best use cases. Can you tell us about how BAM has become a BIM Leader in Ireland? When the “boom” years within our industry ended and the Irish economy went into free-fall, BAM made a strategic decision to invest in technology and innovation as a way of remaining competitive within the Irish based market and allowing our project delivery teams “to do more with less”. As BAM is an international business, it wasn’t an option for us to compete for work across Europe at the time – like many of our domestic competitors. This meant we had to be even more competitive in Ireland. Strategic investment in technology and people gave us that edge which we required to survive the economic downturn. As the economy situation improved so did our BIM and digital strategy. BAM was now hiring exceptional people with skills which we hadn’t previously available within the business. BAM signed their first Global Enterprise Business Agreement (EBA) with Autodesk in 2012 and this allowed us to have access to all of Autodesk’s DBO software; including desktop and cloud technology. This turbo-boosted BAM’s BIM adoption and allowed all BAM employees to have access to all necessary software and support. The technology we have from Autodesk is available to the people we work with on projects; including designers, consultants, and subcontractors. The VDC Department’s ability to self-deliver training has been key to developing the skills of our own BAM staff in recent years. By offering technology (cost free) to members of our supply chain, and by extending training and support to them, has allowed our main supply chain members to work with us on BIM projects in a very specific and collaborative way. This has been key to digital and BIM being a success on our projects to date. Important people within my department include our VDC Operations Manager and our Digital Deployment Specialist. Having the best available support staff to our projects is essential to the successful delivery of BIM on these projects. What are BAM’s BIM knowledge and skill requirements of staff? We tend to hire engineers, quantity surveyors and architects with industry experience. We can always educate these people in the technology, BIM related standards and information management procedures. What we can’t teach people is construction and project delivery experience, the ability to lead meetings or the talent to deal with senior people from other companies on projects. We can teach people what they need to know; train them in new skills; educate them on standards and procedure – but the value of experience can be priceless! Can you tell us about BAM’s most successful BIM Projects? Schools Bundle 4 (SB4) was a massive success for BAM in terms of using BIM. We had BAM PPP, BAM Building and BAM FM all involved from the start of the project. This allowed us to set the Employer Information Requirements (EIR), the Asset Information Requirements (AIR) and Operations Information Requirements (OIR) early on in the project. BAM has previously delivered Schools Bundle 3 (SB3) in a traditional, non-BIM delivery method so this has allowed us to compare similar projects, one with BIM and one without. On SB4 we gained substantial efficiencies in the delivery and management of information. For example, populating asset data on SB3 took BAM FM 4 months; on SB4 it took 2 hours. For BAM FM to access technical data on our non-BIM system for SB3 took on average 6 minutes. To access similar data for SB4 takes 20 seconds. These metrics alone has justified BAM’s investment in BIM. BIM was used on Grangegorman’s Greenway Hub and is a good example of using BIM during design, construction and handover. 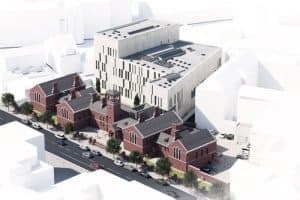 The technology BAM deployed on the project allowed us to satisfy the Grangegorman Development Agency’s BIM requirements easily. Often when clients focus on technically advanced companies for their projects, they normally end up buying a quality product! Utilising our technical ability has allowed BAM to bring value, reduced risk, manage carbon and ensure safer projects for our clients. We are confident we can do this better than our competitors. Clients which value technical expertise are very important to us. What has been the hardest part of BAM Ireland’s BIM Journey? The culture change surrounding BIM for our supply chain has been difficult. Among others, this includes MEP contractors, façade suppliers and design consultants. Initially, some years ago, it was our design consultants who had challenges keeping up with BAM’s BIM requirements; but today almost all of our design partners are BIM enabled. We continue to support our supply chain members on their BIM Journey, and show them how BIM can be used to improve their businesses and deliver efficiencies. We give feedback and highlight where they can get support, training and further information. If members of our supply chain can operate to our information processes and procedures, this will be of benefit to them and to BAM. What has been the hardest part of your BIM Journey? I enjoy a challenge. Developing a strategy for Digital Construction and BIM within BAM has been both enjoyable and difficult. Royal BAM has 23,000 employees. The culture change internally and externally has been difficult. We are a big business and we employ a lot of people. The team in Ireland operate throughout this island and are involved in projects in Germany, Dubai and Abu Dhabi. Trying to train everybody in BAM’s procedures can be challenging. Can you tell us about BAM Ireland’s BIM training? When we commenced our BIM Journey there was a near absence of “BIM” training courses available in Ireland. This meant we had to develop and deliver almost all BIM related training from within BAM’s Business School. We partner with vendors such as Leica, Autodesk, Solibri and Viewpoint, for example, who help us deliver technical training with a train-the-trainer approach. BAM was one of the first companies to achieve the BSI Kitemark globally in 2016. 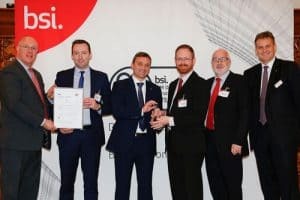 This certification process has provided BAM with a robust platform in understanding what BIM and digital information delivery should look like within BAM. We are currently educating our people in these best practices whilst also keeping them up to date in a structured cycle process. Leveraging online education is important as we are busy people working throughout Ireland and abroad. Reaching out to all people on BAM projects can be a challenge. Is there a growing demand for BIM by Irish clients? Most of the larger clients want “BIM” on their projects. The problem we are encountering is that some of these clients are failing to supply the necessary information at the right time e.g. Employers Information Requirements or Asset Information Requirements. This is largely due to lack of knowledge, understanding and experience. The best projects in which to deliver BIM are those where the client knows what they want and have a document clearly defining their information requirements. We do training with clients to help them through the process, and to help them identify what they want to achieve. Client education is important in BIM and is important within the industry. Please tell us about your role as a CitA Director? When I started in my current position in 2011, it was difficult to find information on what BIM was and how it should be implemented and delivered. The most important assistance I received at the time was from CitA. Their events and the information they provide members was of great help to me. Going to a CitA event for me is a great experience. The people there are experts and there are great opportunities for networking and discussion. As a Director, I try to steer CitA to meet the information requirements of the industry. Many companies out there have questions, and they want information. It is not just BIM, it is general construction informatics. CPD in standards and technologies is necessary for developing our capability with delivering projects in the age of digital construction. The CitA training modules in Construction Informatics is more encompassing than just BIM. Digital Construction is more than BIM and we have to get this message across to people and businesses. I think the CitA courses are broader than what is out there compared to other BIM courses and more appropriate to what our industry requires right now. How do you see the Irish Construction Industry changing in the next few years? If you don’t change, if you don’t innovate, if you don’t join the digital revolution you will become irrelevant. Clients will know your reputation, your capability and what you are capable of delivering, and will take this into account when selecting future partners. BIM has most definitely been a disrupter to our industry. It is having a considerable impact on what clients want and how projects are being requested to be delivered. Some of this has been positive in construction delivery, whilst others are using miss-interpretation to create confusion with a smoke and mirrors effect, and it is not working. We know the advantages of what BIM can deliver, and clients are demanding it on projects. What is your opinion on Lean Construction? The building blocks for Lean Construction is BIM. If you can manage BIM you can deliver a Lean way of working. Trying to get “BIM people” and “Lean people” together to work as one group in our industry is essential. 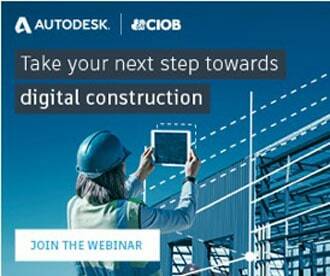 Both Lean Construction and digital technologies are here to stay. Everybody wants value. You need to be efficient, you need to do more with less, cut waste, and deliver risk-free projects, and to do this you need Lean and BIM and digital processes. People are inclined to talk about Lean rather than talk about BIM; as BIM has a technical terminology and is intimidating to people. I believe we will get there; people will adopt both as they want greater value. This is brilliant news. Most people delivering public works contracts have issues with these contracts. This investigated change is a positive step. We should be following the lead of our neighbours in the UK. We don’t have the national resources and investment of other large countries, but I do think we can be leaders in best practice. With BIM you will get better quality and more value for money. The Irish State is the biggest client in the country, delivering projects for the taxpayer, and I look forward to working on some of these projects in the future. Your background is in Construction Management and Engineering. How do you see BIM changing the role of the Construction Manager? Construction Managers will be better able to forecast the time and cost of their projects. The projects will be de-risked. They will know where the efficiencies can be gained. They will have a better understanding of how their projects come together and be able to better explain delivery methods and sequence with their supply chain. When you have great information in construction management it will improve performance. This technology will allow for a better robustness with project controls using dashboards and real-time data analytics. What advice would you give to a contractor starting their BIM Journey? You need a plan. Contractors need to look at this as an investment and not a cost. It can be as expensive as you want it to be or it can be as practical and reasonable as you would like. The technology does not have to be expensive. Aligning your business with relevant standards and guidelines is important. Achieving the BSI Kitemark would open a contractor’s eyes to what BIM and Digital Construction are all about. It will not happen overnight. Encouraging people on this path is hard, but the benefits are great. Do not underestimate the importance of training and change management with your people. What advice would you give clients thinking of requiring BIM on projects? They need to consider what they want to achieve during design and construction. What are the preferred requirements for asset management? There is no point in doing BIM for the sake of it. It has to make sense; there is no such thing as a nice to have – that costs money. You must get advice and understand what your responsibilities are with regards information delivery. BIM should be a positive for all project stakeholders. If it is costing you money on a project, something is very wrong!